Register for a 30 minute flash mentoring session with Terry alumnus, Kurt Klein. 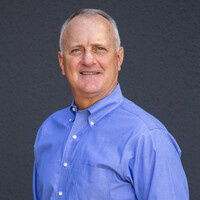 Kurt Klein is a technology industry veteran with 25+ years of executive experience building and leading DataEndure. As CEO, his role is to help bring the right people together on the team and put them in the best position to win for his customers, partners, employees and their families. During his tenure, DataEndure has partnered with industry leaders like Symantec, NetApp, Veritas, and DAMAC to help customers like Cisco, VISA, American Express, Facebook, and CenturyLink strengthen their digital resilience by addressing specific IT challenges within their business. In addition to his work, Kurt served as board member for Easter Seals Bay Area for two years, and his company works with local charities to make the Bay Area a better place. Kurt holds a BS degree in Economics from the University of Georgia. Dress is business casual. Register today!